Bouclé jacket, courtesy of BLANCO. Dark skinny jeans, Curve ID by Levi's. Fuchsia croisé sweater, Dorothy Perkins. Green sunglasses, RETROSUPERFUTURE via YOOX. Cognac leather bag, Uterqüe. 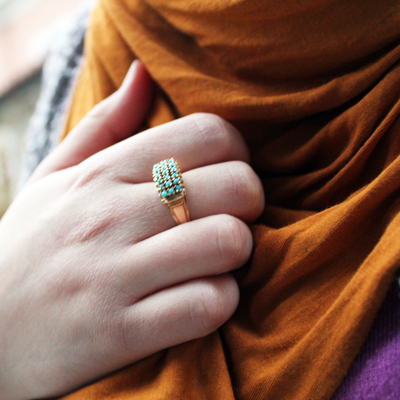 Turquoise stone gold ring, vintage. 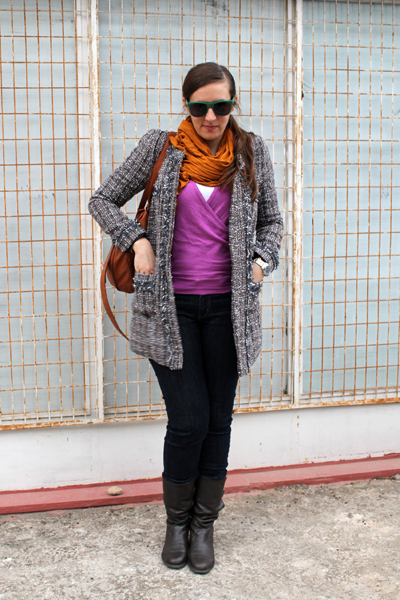 Saffron scarf and greyish-brown boots, Zara. 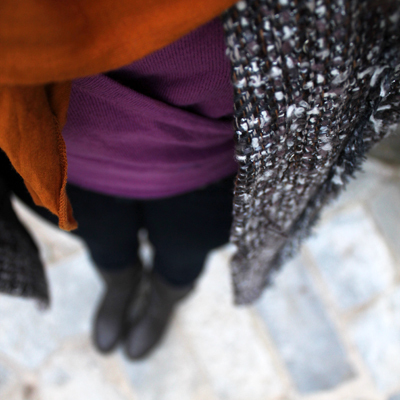 Beautiful outfit.....I love the scarf! gorgeous jacket! i love all the pops of color you've added to the outfit, especially the ring! 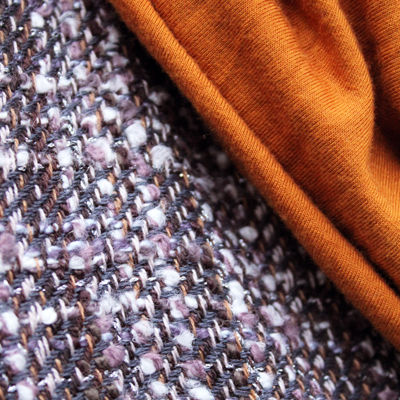 This color combinations is beautiful - well done!